This entry was posted in Environment, Photo Challenge and tagged Edna Haskins. Bookmark the permalink. Inside the old Town Hall opposite the old Westport Bank & Trust? Charles Wassell’s correct middle name is Parkin. It is his mother Georgene’s maiden name. As she sacrificed three of her four sons within 15 months, all of whom are memorialized on this plaque, I would encourage the town fathers to correct this unfortunate and unjust oversight. 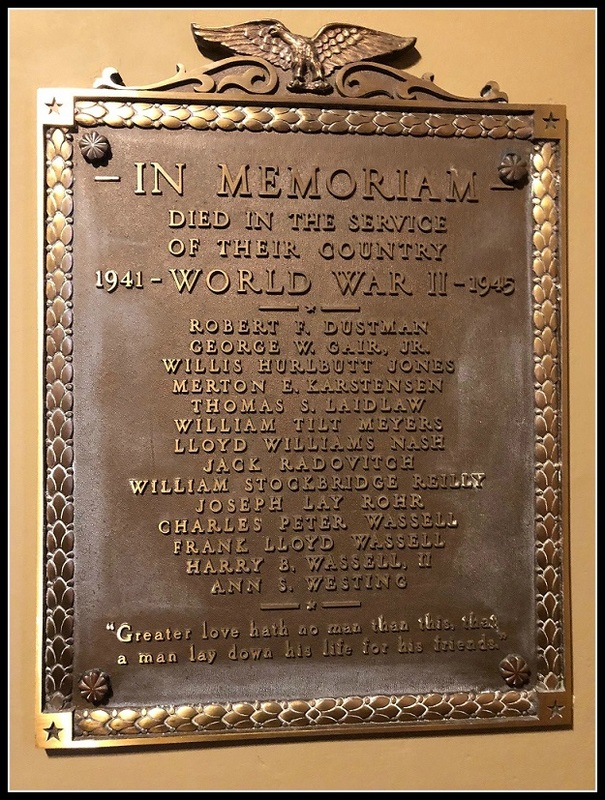 If the Wassell family’s sacrifice is to be remembered in Westport the least that can be done for them is to get their lost son’s name straight. I usually see these type of special metal plaques mounted on concrete monuments with soldiers, eagles and other decorative metal statues above. It’s very possible this picture has been cropped too. I am thinking of a church but not sure which one? You are correct, Linda. Does anyone know which church? Yes! Well done! On the back wall, just inside the rear entrance. Go check it out! I cheated. I read the names and when I saw Thomas Laidlaw I was pretty sure it had to be Christ and Holy Trinity. That’s not cheating! It’s using your local knowledge to solve a challenge! That was my first thought, I just wasn’t sure. I had a good look at it this morning. Just a last foot note. I am fairly certain that The Sea Scouts had a ship named the Thomas Laidlaw in the mid 1950’s. It took on some water during the 1955 hurricane but was saved and used for several more years. We are on vacation but I do have a picture at home.